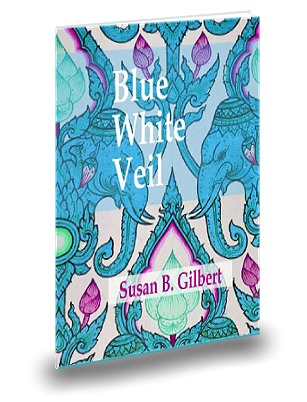 In Blue White Veil, poet Susan B. Gilbert shares her experience with melanoma. Her emotional challenges are juxtaposed against both the medical world and the “long life” reading she received from a fortune teller in New Orleans, illuminating the intersection of fact and belief that medical diagnoses create. Gilbert’s use of language and form brings a strange delight to these serious poems about cancer and mortality.